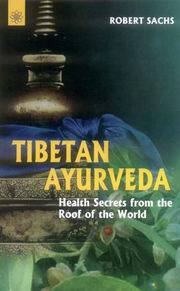 Tibetan medicine was probably the first truly integrated system of ancient healing science. Tibetan Ayurveda provides a comprehensive guide to the four levels of traditional Tibetan medicine with a wealth of traditional health practices and teachings. Much of the contemporary material on Tibetan medicine focuses solely on herbal medicine and acupuncture; Tibetan Ayurveda goes beyond these to look at other important forms of treatment such as Pancha Karma for detoxification and rejuvenation and Kum Nye for integrating mind and body. Using the source text of the Gyud-Zhi, “The Ambrosial Heart Tantra,” Robert Sachs looks at the powerful regenerative therapies that underpin this ancient healing science. He provides clear explanations of their principles and methods and supplies guidelines on nutrition, exercise, relaxation, rejuvenation, detoxification, as well as on meditation and other spiritual practices. A self-profile test is included to allow readers to determine their own health needs and embark on the path toward realizing their full potential for health and well-being. Robert Sachs has spent the last twenty-five years studying with some of today’s most noted Tibetan spiritual leaders and Ayurvedic physicians. He is a member of Sogyal Rinpoche’s Spiritual Dying Network, a Licensed Social Worker, and a member of the American Massage Therapy Association.